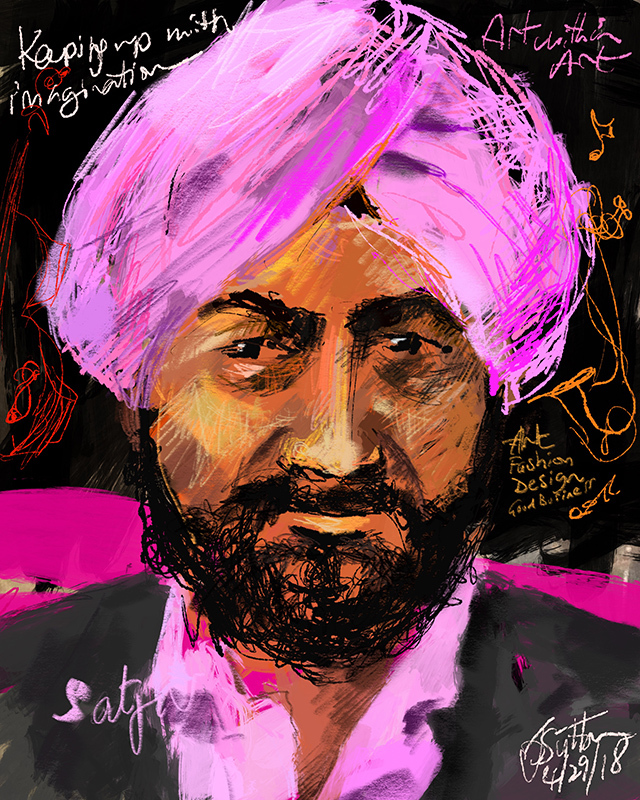 This sketch was created using an iPad Pro, Apple Pencil and Procreate app from direct observation of Satjiv Chahil, an innovator and marketing pioneer who has helped leading Silicon Valley firms commercialize technologies that have changed the world, while he gave a keynote presentation, The Past, Present and Future of Art in Silicon Valley, in conversation with Kari Lincks Coomans at the If So, What? art, design and technology fair/festival at the Palace of Fine Arts, San Francisco. This portrait is one of the very first artworks to which I added an Augmented Reality (AR) component! To experience the Augmented Reality overlay of the time-lapse replay video you will need to download the HP reveal app. For more detailed instructions please click here for instructions.